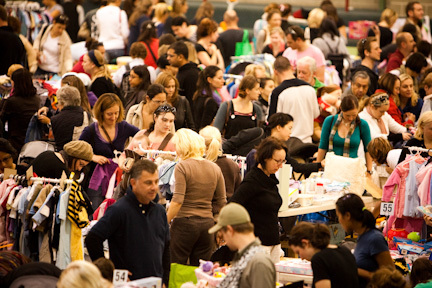 The Baby and Kids Markets by Kidspot are around various locations across Sydney. They are an excellent resource for those looking to either buy or sell pre-loved baby and kids items. The markets originally began as an opportunity for anyone with pre-loved baby and kids goods to sell them to others who might find more use out of them. It is an excellent chance for all mums, dads and expecting parents to come and have a browse to find great brands at bargain prices. You can find almost anything from prams to cots, toys, books, clothes and even shoes. The first market opened in 2003 and has been running ever since in multiple locations including (but not limited to) Central Coast, Five Dock, Liverpool, Newcastle or Penrith just to name a few, so you'd be sure to find one that's close to you. Click here to find a market closest to you. Great! Have a browse at the upcoming markets happening around multiple locations in Sydney. Once you have found one, simply turn up at the venue. Entry is free but read the specific information at each venue as some are subject to a small entry fee. Once you're inside though, you'll be greeted with dozens of stalls with hundreds, if not thousands, of pre-loved goods for both babies and kids. You'll be sure to discover an excellent selection of top brands at heavily reduced prices. You could even set up an entire nursery for about $500, compared to buying all items brand new at $2000 RRP. Not to mention, most of the markets are held indoors at their venues, so there's no excuse to not come along even on a rainy day. What better way to offload some of your children's old toys than to set up a stall at a Baby and Kids Market venue? Most of the time you won't make back the exact money spent on the items in the first place, but it is definitely an excellent way to make some cash on the side for those items, toys or whatever it may be that is sitting in your garage because your kids are too old for them. Visit here for more information on registering and booking a stall. Click here to book a stall. For more information on ordering a stall, read the Stallholders FAQ. Can't Get to a Market? As we all know how busy our lives can be, sometimes it isn't easy to head to the markets. Good news is that the Baby and Kids Market have you covered as well with their online classifieds here. It is a great resource for you to sell and buy pre-loved baby and kids goods and it's also free. Click here to start buying and selling online. Why? 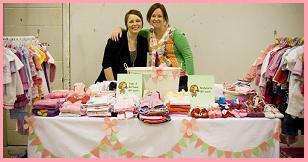 Great place to find preloved baby and kids goods and chance to make some cash too!